I attended Family Weekend last year. Will I need to pay the registration fee again? Yes. Each fee covers only the current year’s event. Does the registration fee cover one person or the entire family? One fee covers the entire family. I'm having trouble cancelling/changing my order, what should I do? If you’re having issues with a change to your order, this page should help. I changed my registration and Cvent is showing my refund as "failed". What should I do? If you are making changes to your order on the same day as your purchase, unfortunately our credit card processor will return this message when processing your refund. No worries, we will process your refund again on the next business day. If you check your order 3 business days later and still see the “failed” message, please contact us. What will we need to bring in order to pick up our ticket/apparel order? To pick up your purchases, such as event tickets and t-shirts, just bring a copy of your email confirmation, either printed or displayed on a mobile device. If your student will be picking up for the family, please forward a copy of the confirmation to them. 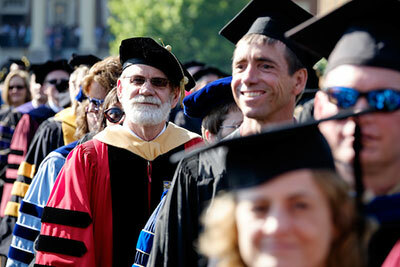 Are siblings, grandparents and other relatives/friends welcome at Family Weekend? Our family has accessibility needs. Where can we find out more? For more information about campus accessibility, visit our accessibility page. Will tickets purchased through this website be mailed to our home address? No. Everything you purchase at our website, including event tickets, football tickets and t-shirts, will be waiting for you at the Registration tables, located in the rotunda area of the Benson University Center. Please note that on Saturday, all football tickets will be held at the Athletic Ticket Office at Bridger Field House, BB&T Field. The Athletic Ticket Office will open at time TBD. Just bring your email confirmation, either printed or on your mobile device. The tables will be open from 9 AM – 7 PM on Friday and from 9 AM – 12 PM on Saturday. Where should we pick up our registration information and tickets if the Registration area will be closed when we arrive? Not a problem! Students are invited to pick up purchases for their families with student ID. Make sure your student has a copy of your email confirmation, either printed or on a mobile device. Our staff will be able to check families in at the door of the Cookout and Brunch. Any football tickets not picked up on Friday will be available Saturday at the Athletic Ticket Office at Bridger Field House, BB&T Field. T-shirts can be picked up in the Benson University Center Saturday morning until 12:30 PM and Sunday morning until the end of Sunday brunch. Are tickets refundable if we change our minds? Families may make changes to a ticket order until date TBD. Any deletion of a ticket order prior to this date will be refundable. After date TBD, all ticket orders are non-refundable. 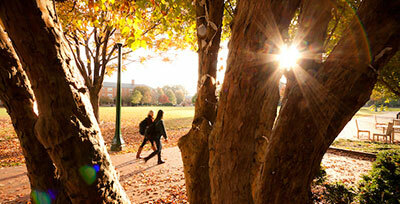 In the event of inclement weather, the refund policy continues to apply. Will our student need a ticket to attend events with us? In general, if an event has an admission cost, this also applies to your student. Athletic events (including the football game) are often free for students to attend, but the free admission enables them to sit only in the student section. If you would like your student to sit with you, they will need a ticket. 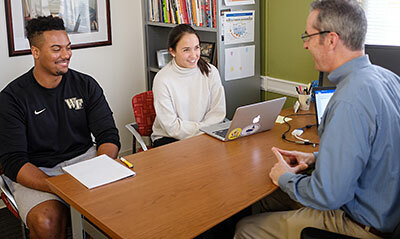 Events featuring a meal, such as the Game Day Cookout or Sunday Brunch, are not included on the WFU Dining Plan, so students will need tickets to attend. During registration, look for the “Student Ticket” icon which will indicate events where students need a ticket. I’m thinking about purchasing (or have purchased) football tickets. Where will these seats be located? The Family Weekend block seats are considered “best available” seating, but these are allocated after season tickets have gone on sale. Once we have received our block, we seat families in the order of purchase according to our assessment of the “best” seat. (There are really no bad seats in our stadium!) Often part of our block falls on the visiting team’s side of the stadium, but this is also the side of the stadium where the student section is located. Some families prefer to sit near the students. If I need to purchase an additional ticket at a later date, will it be seated separately from the rest of our group? All tickets purchased before the close of the registration site will be seated together. I’m bringing a child under age 8 to Family Weekend. Are there any ticketed events they can attend at no charge? Children under 8 are welcome to attend the Sunday brunch at no charge when accompanied by parents with tickets. What is the Deacon Club and what are the advantages of joining? 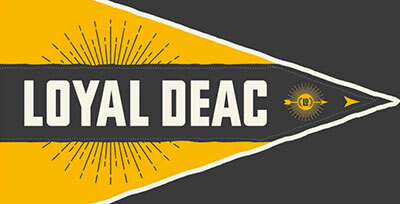 The Deacon Club has over 5,000 members made up of alums, friends of Wake Forest and parents like yourself. Membership donations are used to provide scholarship opportunities to student-athletes. By being a member you’re supporting Wake Forest Athletics. For a full list of membership levels and benefits please visit www.deaconclub.com. What time does the football game begin? Because of television schedules, the game time is not determined until about 10 days prior. As soon as we are notified, we will post that information here and send it out via our various communications channels. Does Athletics offer Game Day information anywhere on their website? Yes. For the most up-to-date Game Day information, visit this page. Are there any restrictions on what we can bring into BB&T Field? Yes. A complete list of prohibited items is available on this page. Beginning with the 2018-19 Football season, a “Clear Bag” policy is in effect at BB&T Field. For more information, visit this page. We were unable to pick up our Football Tickets at the Benson Center on Friday, what now? Please note that on Saturday, all football tickets will be held at the Athletic Ticket Office at Bridger Field House, BB&T Field. The Athletic Ticket Office will open at time TBD. For more information contact the Athletic Ticket office. Where is the football stadium, and will we be asked to pay for parking? View stadium maps, directions, and shuttle information. Premium parking options for Deacon Club members are available by calling 336-758-3322 ext. 1. Otherwise, park in the LJVM coliseum lot, across Deacon Blvd. from the stadium. Parking fees vary. We will offer free shuttle buses running from campus to the stadium, beginning 4 hours prior to game time and continuing for 2 hours post game. What if we have a family member who needs special seating or handicapped access to the game? If you need accessible seating at the football game, you may want to purchase your tickets from wakeforestsports.com; however, should you purchase your football tickets through our Family Weekend block and need accessible seating, please send an email to familyweekend@wfu.edu ASAP letting us know the total number of your party and how many accessible seats are needed. Be as specific as possible in your message: will you need space for a wheelchair, limited amount of climbing, transportation to the stadium? Please don’t delay in sending us this information – during a sold-out game, this type of seating can be limited. My student wants to attend a student tailgate. Do I have to purchase tickets for this event? You must purchase football tickets to enter the student tailgate area. Once inside the gate, the student tailgate areas can be located around the tennis courts. There is not a charge for the tailgate, however, the food may be limited to snack-like items. What time does the Game Day Cookout begin? The Game Day Cookout begins 2 1/2 hours prior to kickoff time. Shuttles from the Benson Center to the Baseball Park will also begin 2 1/2 hours prior. If we arrive on Saturday after the Registration area closes, or plan to proceed directly to the stadium, where should we pick up our Game Day Cookout wristbands? Please come on over to David F. Couch Ballpark. Our staff will check you in at the door. Is the Cookout canceled if it rains? There are covered areas in the Ballpark, so we will be there, rain or shine. I am bringing a child under age 8 to the Game Day Cookout. Will they need a wristband? Yes. The Cookout is a catered meal, so everyone who attends needs a wristband in order to visit the buffet tables. When we arrive on campus, where should we park? On Friday, parking will be available on Davis Field, adjacent to Scales Fine Arts Center, on a first-come, first-served basis for Family Weekend attendees. After 5 PM and during the day Saturday and Sunday, most campus lots are available for families. Accessible parking is found throughout campus in marked spaces. Where can we find directions and parking information for the football stadium and the Game Day Cookout? Families planning to drive should park in the LJVM coliseum lot. Parking fees may vary. We will offer free shuttle buses running from campus to the stadium, beginning at four hours prior to kickoff and continuing for 2 hours post game. Beginning 2 hours prior to kickoff, there will be a special shuttle running between the Benson Center and the David F. Couch Baseball Park, for families with tickets to the Game Day Cookout. This shuttle will not run after the game. Where is handicapped parking at BB&T Field and the Game Day Cookout? Handicapped parking for both will be in the David F. Couch Ballpark parking lot. Shuttles with lifts are available for transport to BB&T Field both prior to and after the game. For more info and/or to purchase your parking pass in advance, please contact the Athletics Ticket Office at 336-758-DEAC(3322).